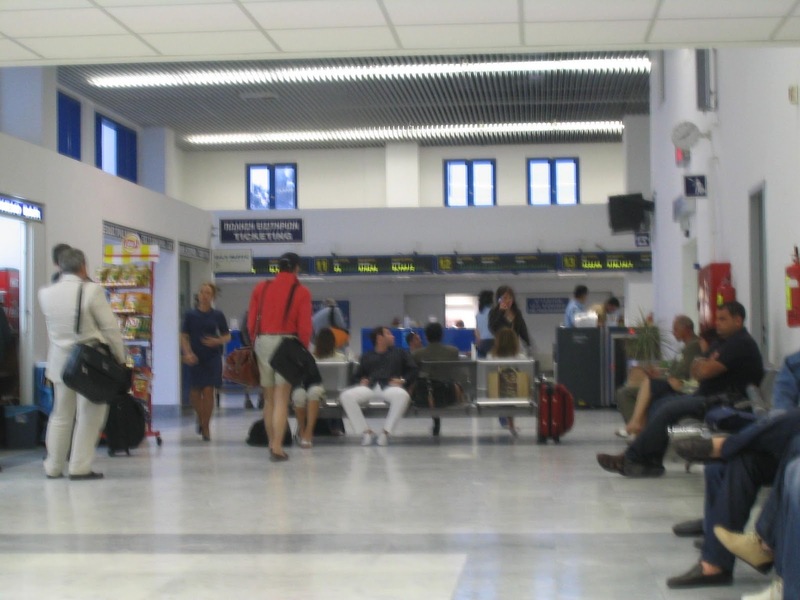 In this section, you will find Mykonos Airport Guide with information on Wi-Fi, recreation areas, facilities and services, traveler reviews on the airport, as well as the names of some airport hotels in case you decide that an overnight stay at the airport is not for you. To help organize your time at the airport, we offer traveler feedback on how they spent time at Mykonos International Airport. 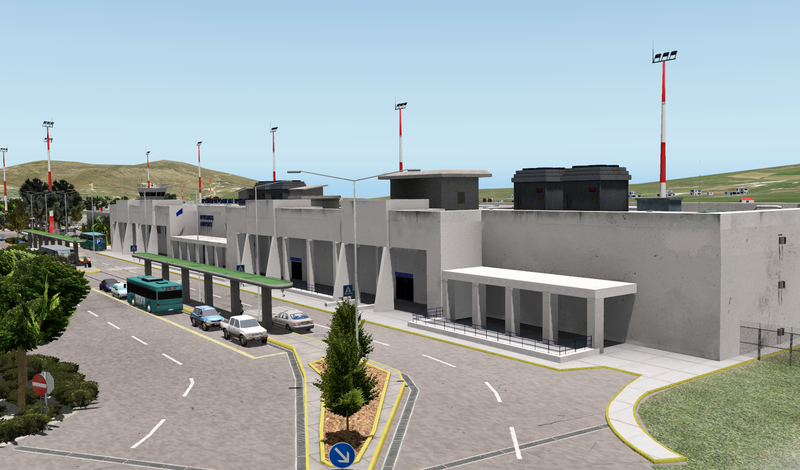 A small single-terminal international airport serves mainly seasonal flights. The choice of shops and restaurants is very limited. Night accommodation at the airport is not provided. For more information on services and amenities, go down below while continuing to explore the Mykonos Airport Guide. Send us your feedback on the airport to help us keep this information up to date. Goldair Holding CIP Lounge — Location: 1st Floor, Landside. Opening hours: 8:00 — 23:30 h. Closed from October 4 to April. Access to the waiting room: on the membership program. HotelMilena Hotel — (10 min. On foot or 1 min. Drive from the airport) free transfer to the airport is provided. Hotel Andronikos Hotel — (3 minutes from the airport). Transfer is absent. HotelVienoula’s Garden — (5 minutes from the airport). Transfer is absent. Hotel Vouniotis Pension — (5 minutes from the airport) free round-trip airport transfer is provided. Hotel Paradise Beach Resort and Camping — (8 minutes from the airport) free transfer is provided. 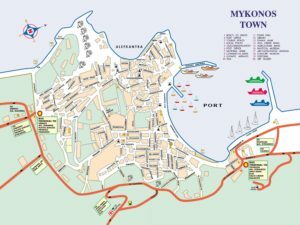 To find affordable accommodation, use the Tripadvisor website, which has a list of all hotels in Mykonos Airport, and also the ability to sort hotels by price. ATMs / ATMs — Yes. Rent a car — the service is not available. Shopping — Duty Free Shop. Food and Drinks — There are no full service restaurants. Here you can find cafes that sell drinks, snacks and light meals. There are also three bars. Information desk — located in the main terminal. Information desk — located on the ground floor near the main entrance. Luggage storage — not available. 7.30 am — 11:30 am and 4:00 pm — 5:40 pm (Sun). 7.30 — 11: 30h and 16:00 — 17: 40h. (Sun).